You will actually enjoy going to the dentist! Our new state of the art facility with a team that understands how to relieve anxiety and provide a relaxing positive experience. We are devoted to restoring, enhancing and maintaining the natural beauty of your smile. Our doctors and staff are committed to providing superior ethical dental care that will preserve and contribute to whole health. Wether you need a cleaning, single crown, porcelian veneers, implants or full mouth restoration, expect the best. 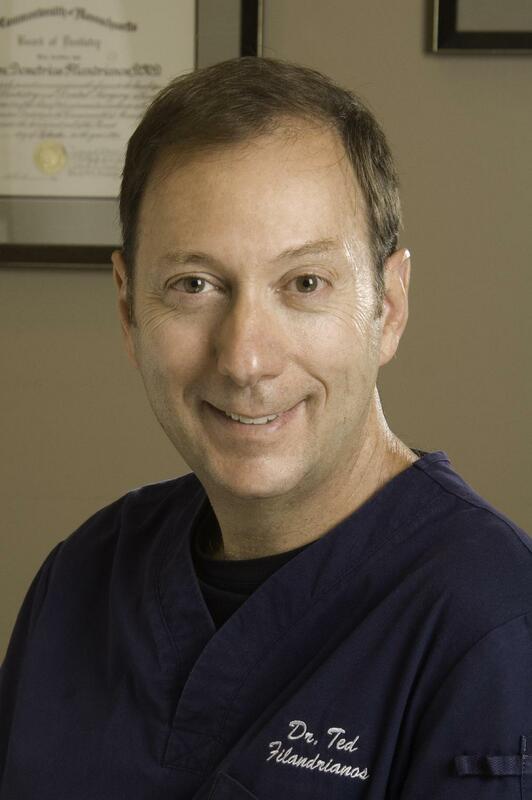 See Dr Filandrianos in the "Boston's Best Dentist”August 2009 to 2018 issues of Boston Magazine! specialists on staff for immediate implant placement Nobel biocare partner more than 1000 implants placed. zach R likes Dr. Theodore Filandrianos on Jan. 23, 2019, 5:53 p.m. I have been seeing Dr Ted for about 11 years after listening to my father rave non-stop about how wonderful he was. I moved and still drive 35 minutes to see him for all my dental issues. At one point I tried to find a dentist more local to me but went back after one visit – Dr Ted is worth the drive and traffic! He is SO kind, gentle and completely eases any fears I have about my dental work. I mostly see Dr. Ted for standard cleanings but have had several cavities filled/repaired through the years as well as 2 caps and 1 route canal. I have never felt any excess pain or discomfort from these procedures. That is one of Dr. Ted's main concerns! The office is beautiful, the rooms are all bright and very comfortable and is in a great location with plenty of street and garage parking. The office staff is also wonderful to deal with. I would recomend Dr. to anyone looking for a dentist!! I have been seeing Dr. Ted since I moved to the Boston area and I have nothing but positive things to say about him and his staff. He is by far the most efficient and effective dentist I have ever been to and I have the smile to prove it. He is honest, which is unusual in this industry, and he does fantastic work. He loves what he does and it makes all the difference. I would recommend him to anyone.